In recent news all we hear about seems to be the year over year statistics and how bad they are. I just pulled the numbers for Detached and Link homes in Markham for the first full three months of the year and the numbers are moving in the right direction. 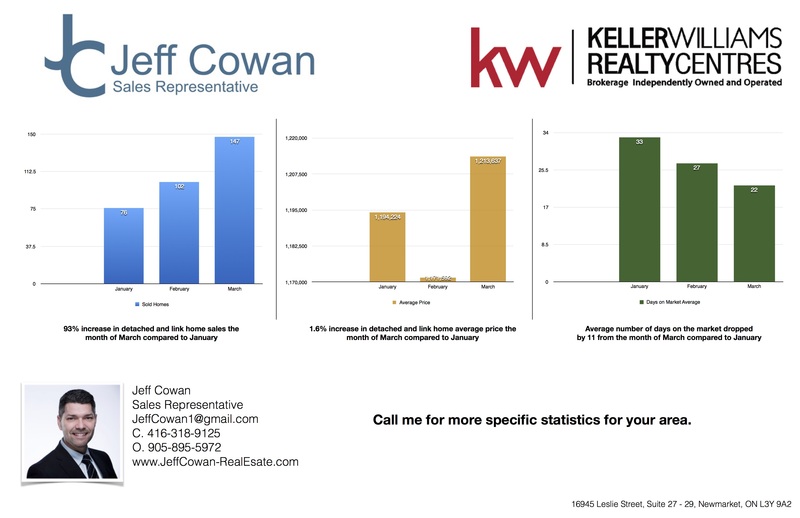 Have a look at these numbers to give you a bit of piece of mind if you are a seller on the Market now or look to list your home soon. Feel free to reach out to me for any clarification of if you wanted to see different statistics or for a specific area.